Chiropractic is a primary healthcare profession that specialises in the diagnosis, treatment and management of musculoskeletal conditions that are due to mechanical dysfunction of the joints and muscles. Within the U.K. Chiropractic is a statutorily-regulated profession via the General Chiropractic Council and should not be regarded as a treatment, intervention or monk-therapy. Chiropractors provide a wide range of treatments/interventions including, but not limited to, manual therapy, exercise rehabilitation and self-care advice, and utilise psychologically-informed programmes of care. Chiropractic, like other healthcare professions, is informed by the evidence base and develops accordingly. Chiropractic care is for everyone. Due to the wide range of treatment modalities employed at the clinic we will tailor your treatment to you. This is always based on the best available evidence, our extensive clinical experience and your personal preference. James Everett (Doctor of Chiropractic) was born in Surrey and graduated from the Anglo-European College of Chiropractic in Bournemouth with a Masters degree in Chiropractic. It was James' rugby injury, and subsequent experience with Chiropractic Care, that provided the catalyst for him to pursue a career as a Doctor of Chiropractic. 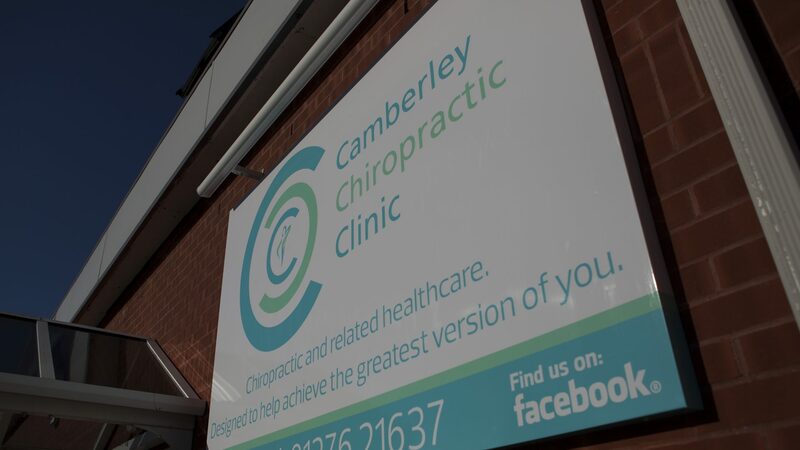 James became the owner of Camberley Chiropractic Clinic in 2015 having been an associate since 2009. Alongside his work within the clinic he is the first team Chiropractor at Millwall and AFC Wimbledon, having previously been chiropractor to the first team at QPR and Oxford United Football Club. Outside of football, James has treated the GB athletes at Masters Athletics Competitions both in the UK and in Europe. 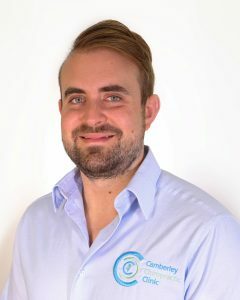 James is an internationally Certified Chiropractic Sports Practitioner, and a member of the Royal College of Chiropractors Sports and Exercise Faculty. At present James is studying for a post - graduate Masters in sports and rehabilitation. An area of special interest to James is how the feet can cause pain and dysfunction further up the body. He regularly uses a gait scanner unit, www.rightstride.com which is a metre long platform that can accurately assess a patient during walking. 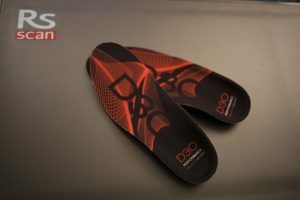 This information coupled with the physical examination findings allows custom orthotics to be moulded, which can help with heel, knee, hip and even low back pain. 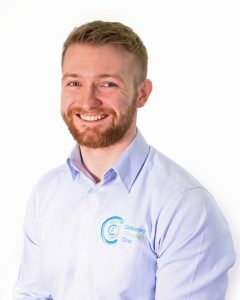 Outside of chiropractic, he enjoys sports, (mainly weight lifting), keeping fit and agility training with his dog Jake. Laura graduated from the Anglo-European College of Chiropractic (AECC) in Bournemouth with a BSc (Hons) in Human Sciences and a Masters degree in Chiropractic. Having always had a passion for health and caring for others, Chiropractic seemed a natural career choice. 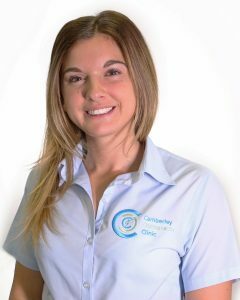 Laura is a member of the British Chiropractic Association and is registered with the General Chiropractic Council. Although Laura has a genuine interest in treating people of all ages, she has developed a special interest towards paediatrics and pregnancy and has treated patients as young as 5 days old! During her time at the AECC, Laura worked alongside student midwives to provide effective ways to help mothers establish successful breastfeeding, which involved examining the newborn baby for any musculoskeletal issues. Laura also worked at a satellite clinic at Bournemouth University to provide treatment for athletes with sporting injuries, as well as a wide range of musculoskeletal disorders the students and members of staff presented with. In her spare time, Laura enjoys keeping fit in the gym and playing netball, having captained the Bournemouth University team, and socialising with her friends and family! Josh French was born in Surrey and graduated from the Anglo-European College of Chiropractic with a first class BSc (Hons) in Human Sciences and an MSc with distinction in Chiropractic. A keen rugby player growing up, Josh first experienced Chiropractic care after suffering from some sporting injuries. An instant fascination and interest in this form of treatment convinced Josh that Chiropractic was the career path for him! Josh is a member of the British Chiropractic Association and is registered with the General Chiropractic Council. Due to his love of playing sports, Josh has developed a special interest in Sports Chiropractic and working with sports injuries. He has attended several Sports Chiropractic seminars and is looking forward to expanding on this in the near future. For the 2016/17 season Josh was fortunate to work with AFC Bournemouth, providing chiropractic treatment for the footballers. He has also spent time working 1 on 1 with a Team GB powerlifter. In his free time, Josh enjoys keeping fit in the gym as well as cooking. He also enjoys playing golf whenever the weather allows, which is as infrequent as you would expect! Prab Chandhok (Doctor of Chiropractic) was born in South-West London and graduated in 2001 from the Anglo-European College of Chiropractic in Bournemouth with a Masters degree and awarded the Doctor of Chiropractic. 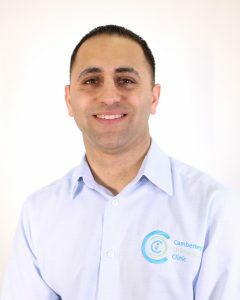 He joined the Camberley Chiropractic Clinic in 2004 after practicing in London. Prab is an internationally certified chiropractic sports practitioner and has worked with a variety of athletes and sporting injuries in all age groups. He is a Fellow of the Royal College of Chiropractors (RCC), a committee member of their Sport and Exercise Faculty and was honoured to have been selected to serve on the medical team as a chiropractor for the London 2012 Olympic Games. He thoroughly enjoyed providing care to some of the best athletes from around the world as part of the historic, landmark team of chiropractors to first officially serve at a summer Olympics. He is certified in chiropractic care during pregnancy and in paediatrics and also trained in Western form of acupuncture/dry needling for musculoskeletal pain. He has been elected as a council member for the British Chiropractic Association and is an advisory committee member for the Chiropractic Patients Association. In his spare time, Prab enjoys flying gliders and scuba diving when possible. The use of the RS Scan pressure plate system allows for in depth biomechanical assessment of foot function during walking and running. This in depth analysis helps to better understand how the foot function might be affecting areas higher up the kinetic chain, such as the low back. This information can be vital for the proper development of a tailored, patient centred, treatment plan. If part of that treatment plan requires the addition of orthotics in the shoes, then the information obtained from the scan provides important information as to how they should be moulded. When imaging with X-rays, an X-ray beam produced by a so-called X-ray tube passes through the body. On it’s way through the body, parts of the energy of the X-ray beam are absorbed. This process is described as attenuation of the X-ray beam. On the opposite side of the body, detectors or a film capture the attenuated X-rays, resulting in a clinical image. The digital X-Rays we have at the clinic certainly do not form a major part of our diagnostic process, however, if clinically indicated by the patient history and physical exam they are a fast way in which we rule out or rule in a diagnosis. Extracorporeal Shock Wave Therapy (ESWT) is the application of Shock Waves in medicine. Red chili peppers contain capsaicin. At first this substance overwhelms the C nerve fibers responsible for transmitting pain but then disables them for an extended period of time. Everybody knows the feeling – first, the mouth is on fire, then it feels completely numb. Research has indicated that shock wave therapy works the same way. When activated, the C nerve fibers release a specific substance (substance P) in the tissue as well as in the spinal cord. This substance is responsible for causing slight discomfort during and after shock wave treatment. However, with prolonged activation, C nerve fibers become incapable for some time of releasing substance P and causing pain. Less substance P in the tissue leads to reduced pain, but there is more: less substance P also causes so-called neurogenic inflammation to decline. A decline in neurogenic inflammation may in turn foster healing – together with the release of growth factors and the activation of stem cells in the treated tissue. ESWT has been clinically proven to be effective for conditions such as: Calcific tendinitis of the shoulder; Plantar fasciitis; Achilles tendinopathy; Golfer's elbow; Tennis elbow and more! Laser is a form of Photobiomodulation therapy. This can result in beneficial therapeutic outcomes including but not limited to the alleviation of pain or inflammation, immunomodulation, and promotion of wound healing and tissue regeneration. Fluid Effect: By causing decompression the tape promotes a more normal fluid dynamic in the taped area. Swelling is better able to flow out of the area, taking with it toxins which result from inflammation and injury. Also blood has less resistance to enter the area bringing with it more oxygen and nutrients vital for healing and recovery. This fluid effect is probably behind the dramatic improvement in swollen and bruised tissue that is often seen when Rocktape is applied. Mechanical Effect: As pressure on the vertical layer cake of tissue between skin and bone is reduced more normal slide and glide mechanics between the layers of tissue is restored. It is likely that this is the mechanism that can make someone who can only bend as far as their knees, bend considerably more in a short space of time. Neurological Effect: A lot of pain generated by movement or muscle contraction is generated by nerve endings in the space between the skin and muscle. As tape decompresses this space there is less pressure on these nerve endings so is reduced or stopped completely at its source. Having elastic tape stuck to your skin is also believed to stimulate receptors within the skin called Mechanoreceptors. These receptors play a part in our movement awareness, or what therapists call Proprioception. Many therapists believe that one of the main effects of applying RockTape is to improve our Proprioception, which can both decrease pain and improve the way we move.